Divine Magazine’s 2016 Summer Blog Hop & Giveaway! I’ll be the first to admit, I’m not really a fan of summer. To me summer is unbearable heat and humidity, mosquitoes and ticks, poison ivy and sweat. I don’t enjoy fireworks and I’d just as soon eat my picnic food indoors to avoid the gnats and ants. Summer is when I consider chopping off all my hair, until I remember that I look like an angry hedgehog with short hair, and believe me, that’s not a good look on me. 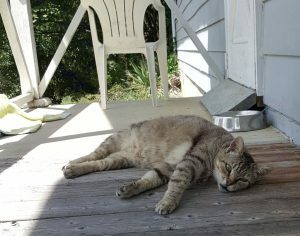 Right now, it’s so hot, even the cats have melted! 🙂 You can see why I’m tempted to cut off all my hair. 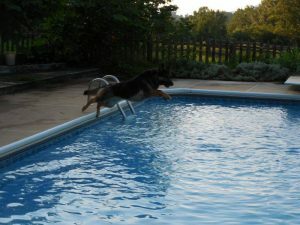 So why, you might ask, am I participating in Divine Magazine’s Summer Blog Hop? It’s a good question. I suspect the answer is I love blog hops, but I also love seasons. I’m fortunate to live in an area that has definitive seasons. Each one comes in its turn on a fairly predictable schedule. I love it it when the cold mud and snow of winter evolves into budding blossoms and balmy mornings where you don’t need that heavy coat. I adore autumn–that first time the temperatures drop twenty degrees, or the sound of dry leaves skittering across the pavement. I spend countless hours photographing my dogs in the snow, and I love hunkering down in front of a fireplace with a good book and a cup of hot chocolate. But it has its moments as well. When I was a child, summer meant we went off to stay with our grandparents for a good bit of the season. Spending the summer with the grandparents was always fun because though there were still rules, the rules were different and somehow easier to follow. Summer meant fresh vegetables grown in their garden and cooked as only my grandmother could do. It meant staying up past my bedtime to watch my grandparents’ favorite television shows–programs we’d never be allowed to view at home. It was bowls of Cheerios as a bedtime snack, and up at sunrise to catch the bus for Vacation Bible School. That’s why we were sent–because of the wonderful Bible School. I know what you’re thinking, but this was Bible School done right. We spent an hour each morning with our lessons, and then the rest of the day we swam like fishes at the church lake. Every afternoon, we’d pile back into the bus, sunburnt and with ravenous appetites, to head home. On rainy days, we did crafts under wide pavilions, the damp misty air blowing cool on our skins. Or we played cards: Go Fish, Rook, Hearts, Jack-Change-It–I learned them all. I learned how to play chess, too–albeit badly. And some kind teenager, whose name I’ve forgotten, taught me how to swim as well. There was no pressure. There was no push. It wasn’t a stepping stone to a better school or a rung in the ladder of personal achievements. The best part of it all was that the religious teaching didn’t come loaded with so much of what I see and hear now–or perhaps I just wasn’t aware of it then. It felt simple, however, without judgement or anger. More New Testament and less Old. And the rest of the time, we were allowed to be children. I think I’d enjoy summer if it was like that again! There is a GREAT giveaway going for this blog hop–some participants are doing an individual giveaway but the Grand Prize has it all: jewelry, a promotional tour, and gift cards from Dreamspinner Press! To enter the Rafflecopter for the Grand Prize, you must click on the link and leave a comment on the page there. As part of my giveaway here, if you leave a comment telling me what your favorite thing to eat on a hot summer day is, I’ll randomly select someone to win their choice from my backlist. 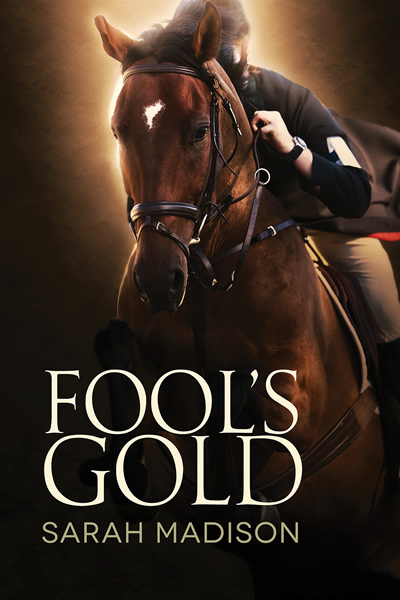 Also, I just released my latest M/M contemporary romance–Fool’s Gold! Now Available on Amazon and Kindle Unlimited: Just in time for the 2016 Summer Games! So be sure to follow me on Facebook, Twitter, Tumblr or sign up to follow the blog and newsletter (links on the right side bar here) to get all the latest news on the newest releases. The Summer Blog Hop Lineup is right here for easy access, too! This entry was posted in Uncategorized and tagged #MondayBlogs, announcements, blog hop, Dreamspinner Press, gay romance, giveaway, GLBTQ, male male romance, Sarah Madison, upcoming release, writing by Sarah Madison. Bookmark the permalink. Thanks for the post! Fool’s Gold sounds great and love the cover. This is boring, but my favorite thing on a hot day a glass of ice water. I drink a lot of it! 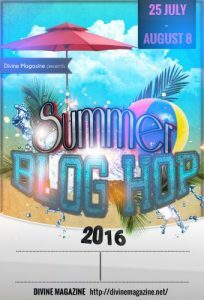 Sarah Madison recently posted..Divine Magazine’s 2016 Summer Blog Hop & Giveaway! Thank you for the post! Love the cover, it looks fantastic. I don’t really have a favorite food to eat on a hot summer day. When I do have it though I do enjoy having an ice cream sandwich or ice cream cone. I love this cover too–Reese Dante is a genius! Mmmmm, fresh fruit on a hot summer day. The best! Question: do you lightly salt your watermelon or not? Oooh, I haven’t tried making ice cream in years–I should give it a go! It’s proving to be a popular choice! Oooh, I love sorbet, so the knickerbocker glory sounds fabulous!